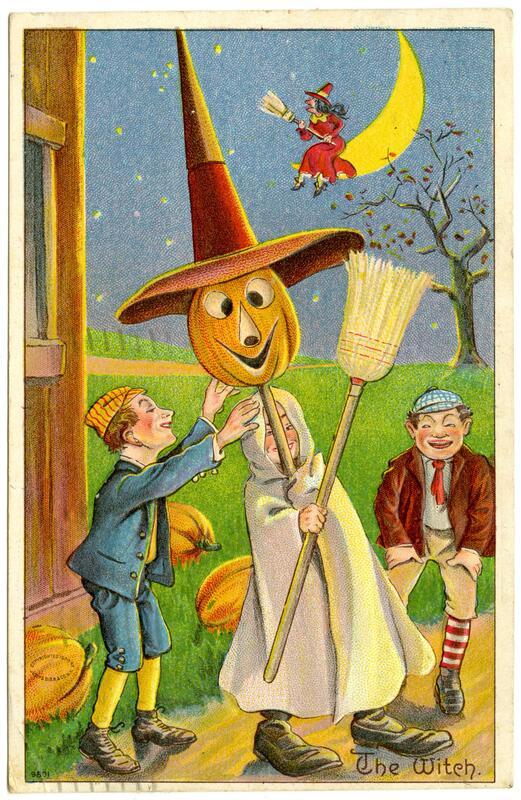 I always look forward to the fall – cooler weather, beautiful foliage, and of course, Halloween. 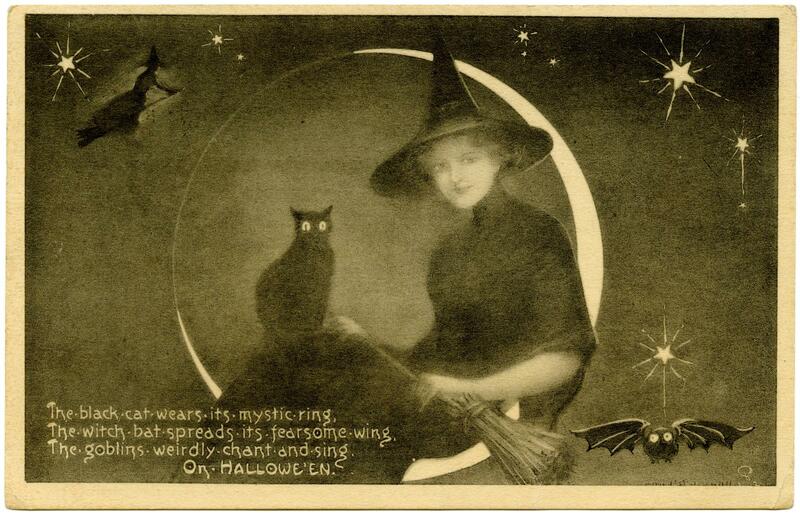 Those of us interested in the origin and history of Halloween generally can make good use of published scholarship on the subject, such as Nicholas Roger’s Halloween: From Pagan Ritual to Party Night, David Skal’s Death Makes a Holiday, or Lisa Morton’s Trick or Treat: A History of Halloween. 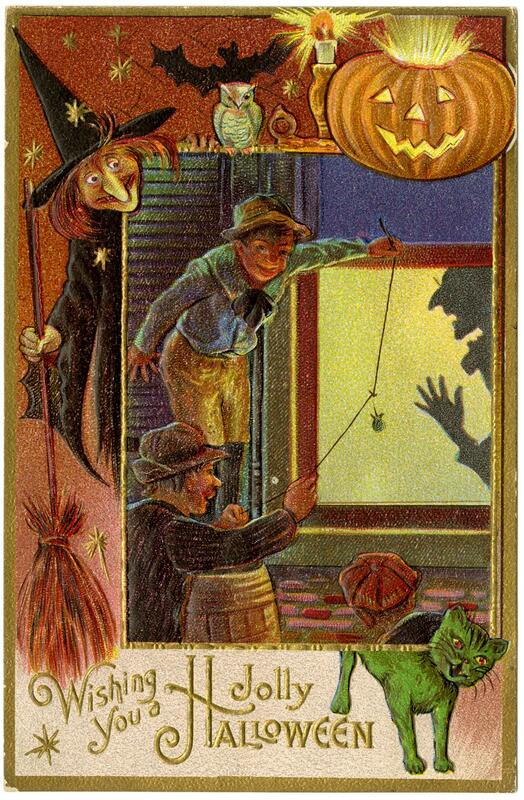 But if you are interested in exploring the celebration or observance of Halloween in the Peel area specifically you will likely need to do some research here in the Peel Archives. And as we have mentioned previously, archives do not, unlike libraries, arrange our holdings according to theme or subject. Rather, we arrange and describe the records in our care according to their provenance, i.e. the person, organization, or government office that created, collected, and/or utilized the records prior to their transfer to the Archives. 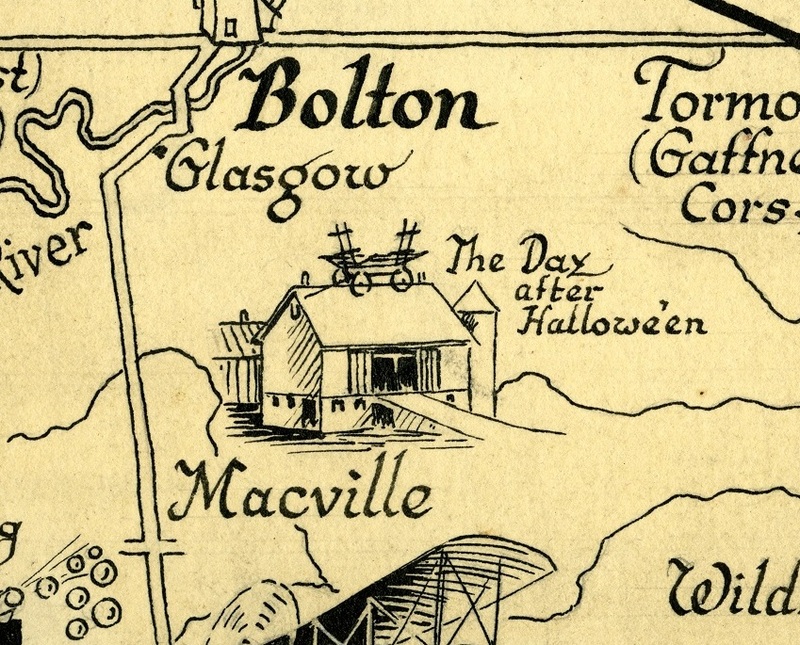 All of this is to say that if a patron comes to us wanting to explore the celebration of Halloween in Mississauga, Brampton, and/or Caledon over time, that patron will not be handed one authoritative file on the subject, but will rather need to check various fonds and collections to locate relevant material. These postcards were sent to Lavina Bella, the mother of Brampton resident and noted photographer Betty Odlum. 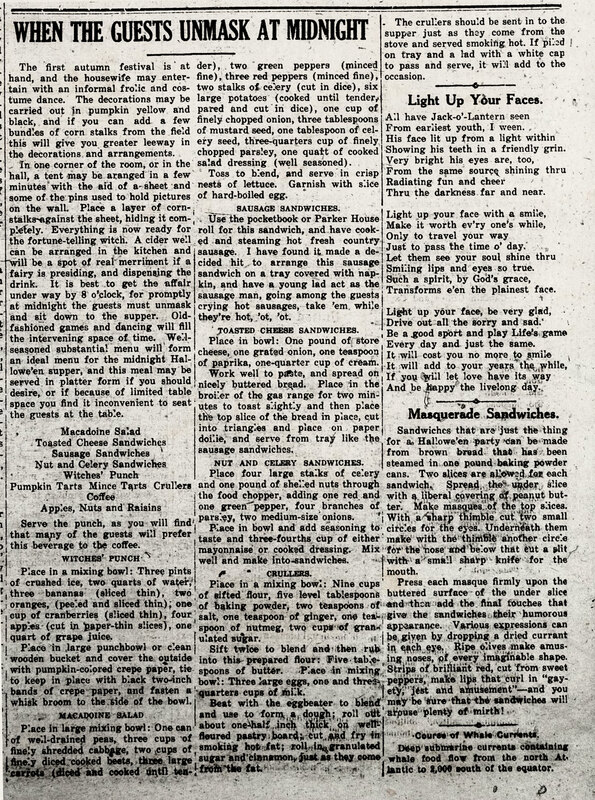 This article, published in the Village of Streetsville (now forming part of the City of Mississauga), provides tips and instructions for hosting a Halloween party, including decorating and recipe ideas. If you are interested, the article contains recipes for some of the above items. In this drawing commissioned by Peel historian Wm. Perkins Bull, youth playing a Halloween prank placed a wagon on the roof of a farm in the Macville area (just south of Bolton in Caledon). Other pranks that often occurred on October 31st included removing and hiding fence gates, transferring animals from one stable or farm to another, soaping windows, and relocating outhouses. Pictured here are curlers dressed up as characters from the children’s television program Sesame Street. 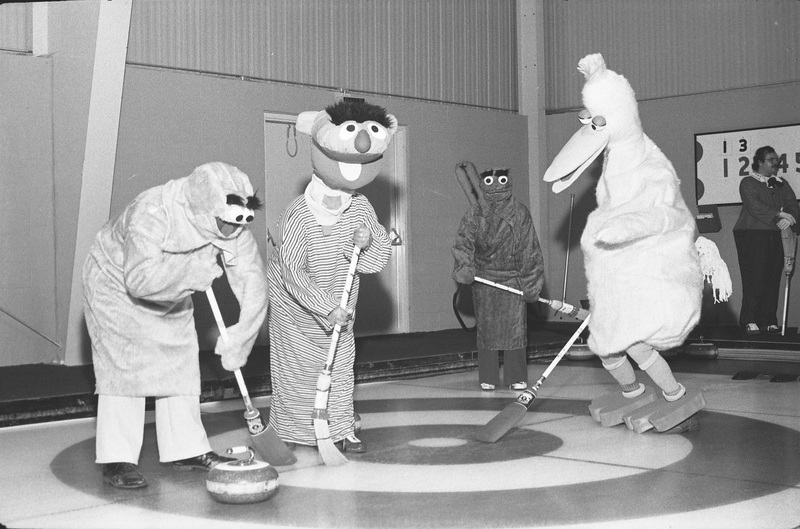 Costumed characters were competing in a “Halloween bonspiel” and include what appears to be Cookie Monster, as well as Ernie, Oscar the Grouch, and Big Bird. 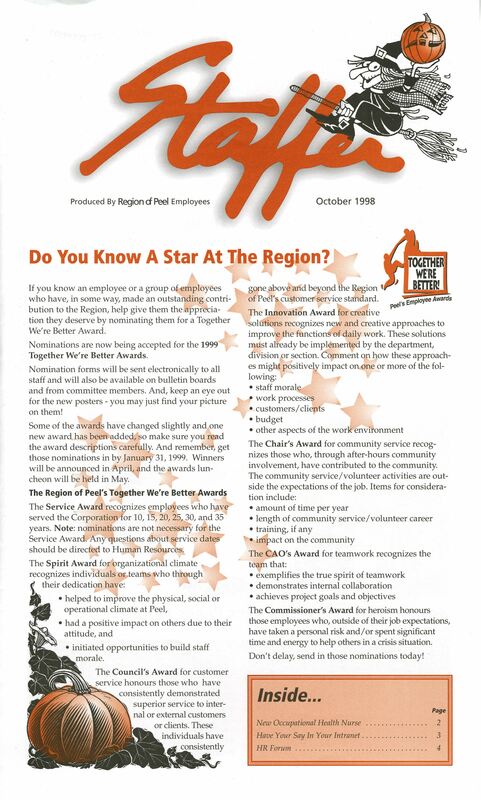 The Staffer was an internal newsletter for Region of Peel employees, and here are two examples of how Halloween was acknowledged by Regional staff. 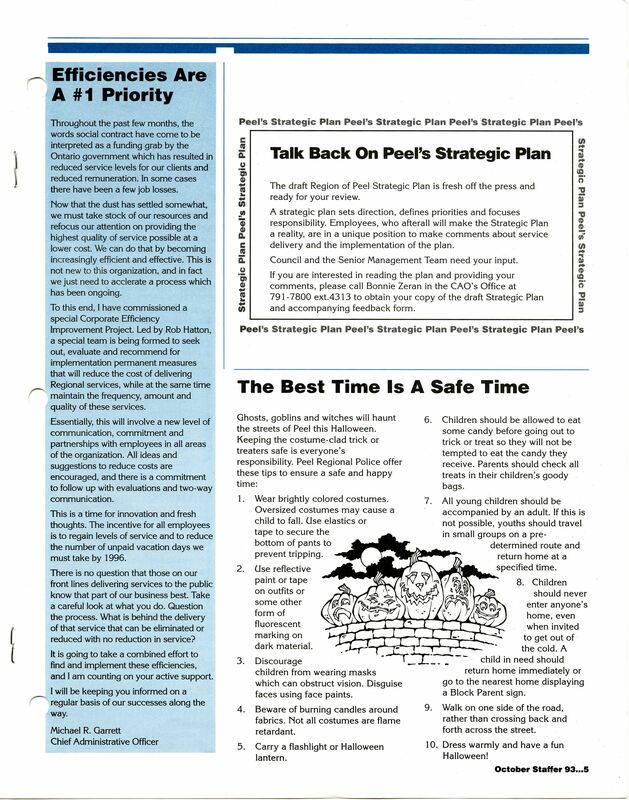 In the October 1991 issue we find safety advice from Peel Regional Police for children and their families taking part in “trick or treating.” In the October 1998 issue there is no specific mention of Halloween, but the entire issue is full of classic Halloween imagery, including pumpkins, witches, and bats. 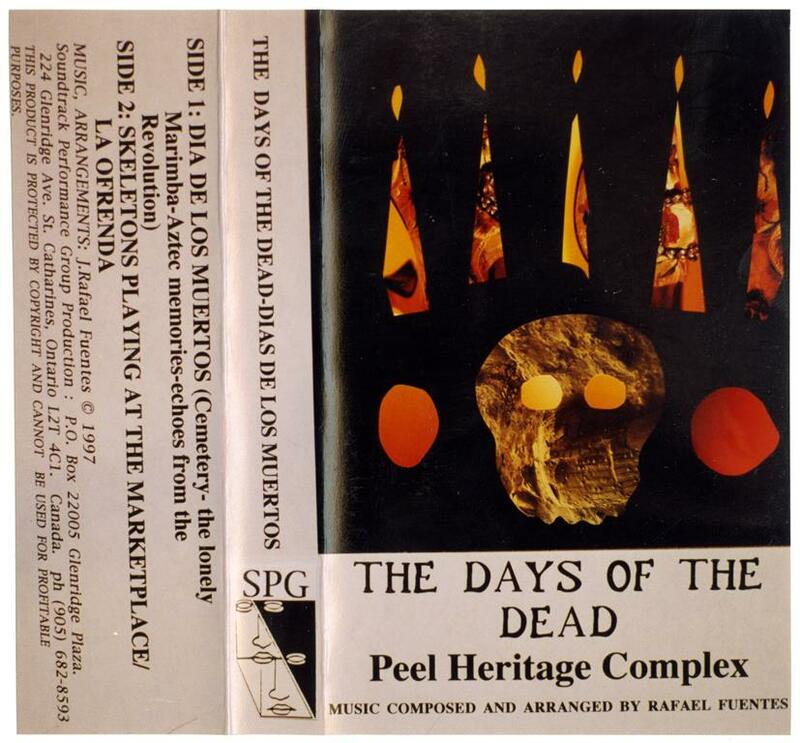 Hopefully you have enjoyed this brief exploration of some of the neat Halloween related records that currently reside in the holdings of the Peel Archives.